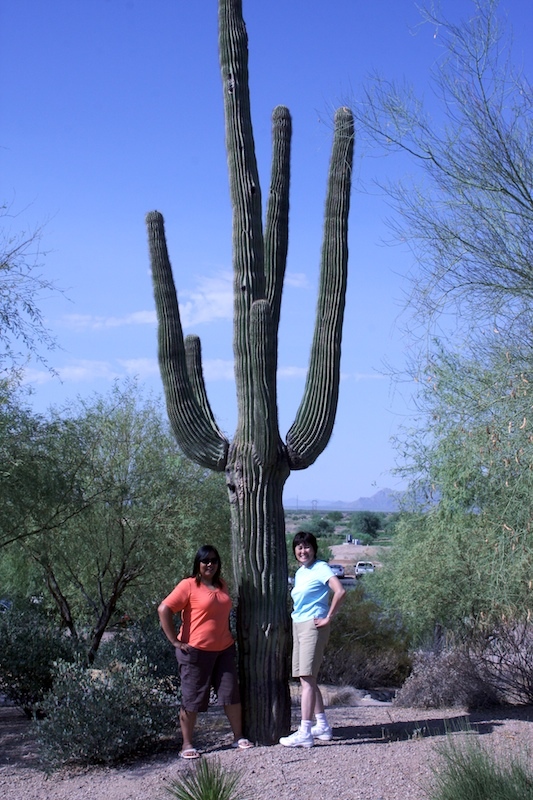 My head is still spinning from my amazing Creative Escape weekend in Arizona. Not only was it a weekend full of fun classes, but the camaraderie of so many creative people was really what made it so phenomenal. Doris and I arrived late Wednesday morning. It was already over 100 degrees. We took a bus tour of the Bazzill Paper warehouse. 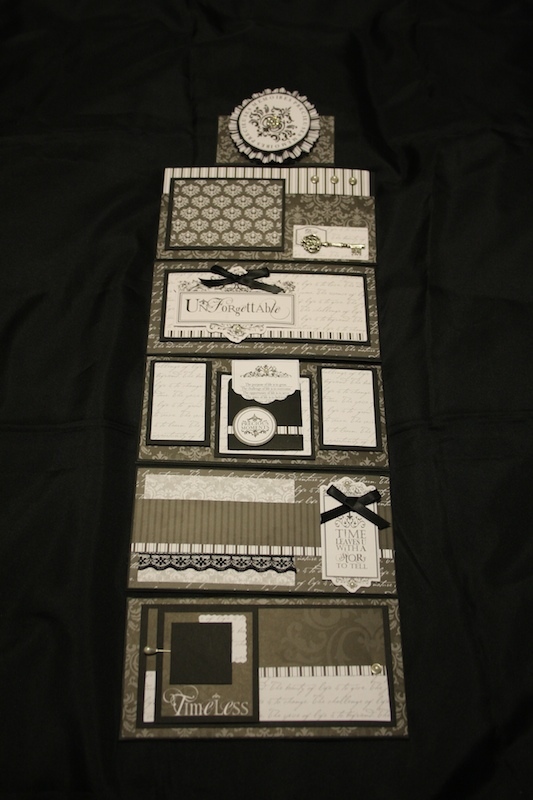 Bazzill is the leading cardstock paper company in the industry. I used to work at a rubber stamp manufacturing warehouse and I love seeing how product is produced, packed and shipped. We had about an hour there, then we headed to a local scrapbook store. We were allowed 2 hours of shopping in this mega store. Luckily, I have great stores locally, so i kept my shopping to a minimum. Found a couple of small things on sale and some Arizona specific dies I couldn't resist. I definitely didn't need 2 hours though. Thankfully, they kept the bus air conditioned! Thursday was the 1st official day of the weekend. We registered and started doing the "Technique Boutique", which is where you go to 8 different spots and either learn a technique or get some free product to use during the weekend. Then we went to the artist's Trunk Show, where we could meet the teachers, chat with them one-on-one about what inspires them and get a hands-on look at their art. Thursday night, there was a Yahoo group party in the bar, which was crazy and chaotic, but fun and another opportunity to meet more people and win some prizes. 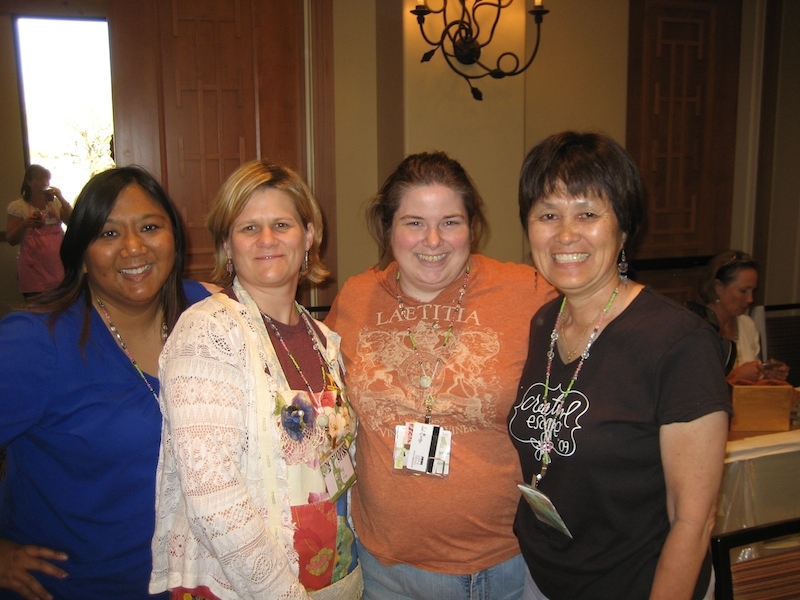 My peeps: Amy, Christina and Doris. We were in the same group the whole weekend and all came from the Bay Area. Friday and Saturday, we had 4 classes each day, plus another class Friday night. So 9 full projects and the mini-projects we did during the technique boutique. Doris even managed to get to the Spa for a massage! However, she came home with a massive spider bite as a souvenir during her walk from the hotel to the spa. It was scary for a while, almost thought she'd have to go to urgent care. Don't mess with the desert, I tell ya! Carol Wingert's project. First class of the weekend. 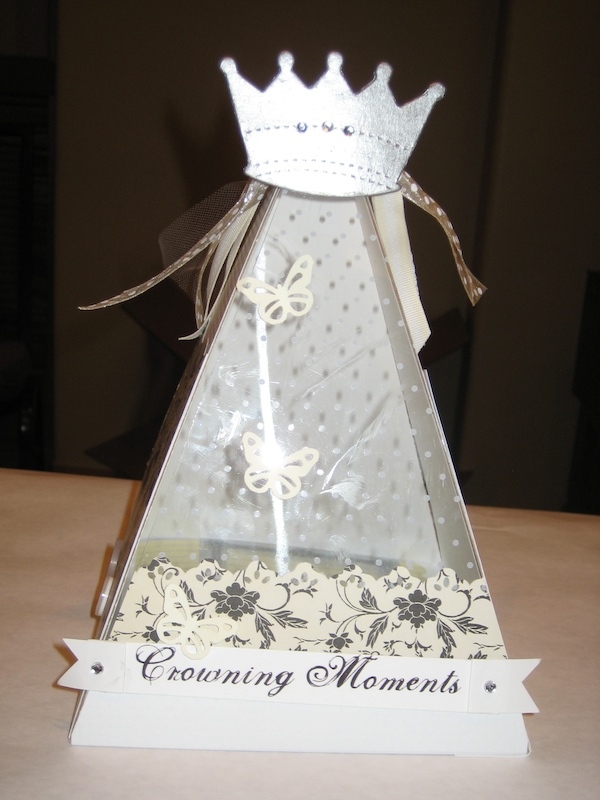 I didn't finish this project, this is the teacher's sample, but a lot of people had ideas on what to put inside of the pyramid...jelly jars, small house warming gifts, Christmas ornaments. Shammie...it might look familiar to you! It's similar to the pattern I gave you a couple of years ago, but bigger. Loved this project by Deb Crouse and Paula Cheney of 7 Gypsies. 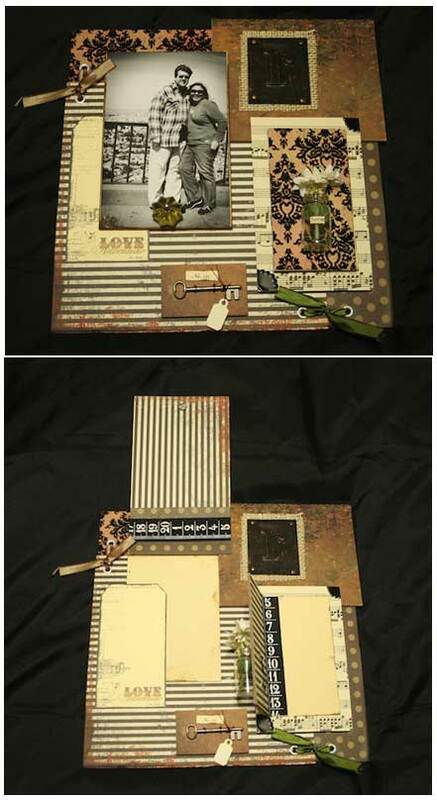 7 Gypsies does a lot of altered and mixed media art. Check out the hinged doors and openings. Pretty cool, huh? This was Heather Bailey's project. I've admired Heather's style and have read her blog for a few years. I believe she's a fabric artist before she's a paper artist, and she's one of the ladies who inspired me to start sewing. Not too long ago, they started making paper out of her fabric designs. I thought this minibook was supah kute! Would have loved to incorporate some of her fabric in it, though. 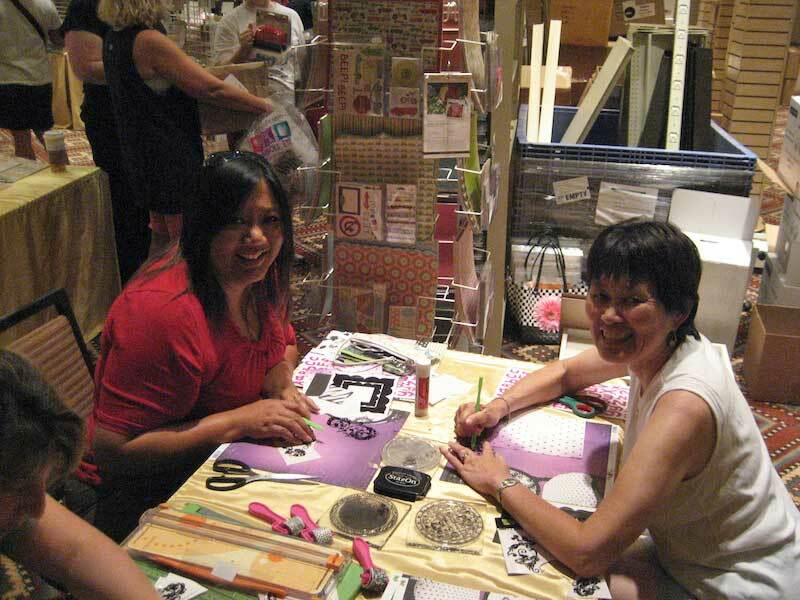 Tim Holtz's classes are always the most popular. He's got a very different style than most 'scrapbooking' so it's always a lot of fun learning his techniques. He's really charismatic and organized, which makes the class that much more fun. We made this mini-book out of 1 sheet of 12x12 paper, some grungeboard and his cool metal elements. Then we distressed the suitcase and the minibook fit perfectly inside it. Saturday morning, 8am, we started with Heidi Swapp's project. Heidi is the co-host of Creative Escape, along with Bazzill. Heidi's project is an easel that we created out of her House of 3 line. On the easel is a tiny envelope, nested in a card, nested in a floral-fold envy, nested in a door hinged card, nested in a top opening panel. So much fun opening all the different doors and panels and envelopes to get to the hidden message at the end. Lynette Carroll's class was next. Lynette focuses on clean perpendicular lines, evenly spaced, paying very close to the details. She uses a lot of foam mounting tape to add dimension. We made this pretty 6 panel wall hanging. Just need to add the b&w photos. Debby Schuh is one of my all time favorite teacher/artist/person. She continues to take a minibook and comes up with different and clever moving pages or hidden pouches every time. She came to CE the first year in 2006 as a studen and made a minibook of all the ephemeria she collected. 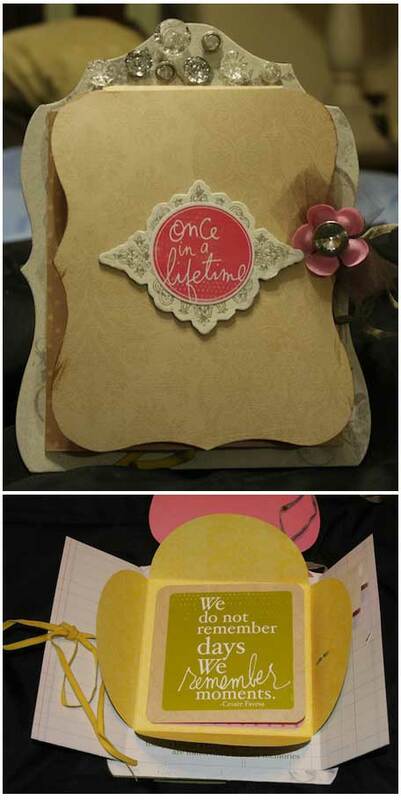 So for her project, she created a mini-album for us to make so we could collect all the ephemera in our books, too. 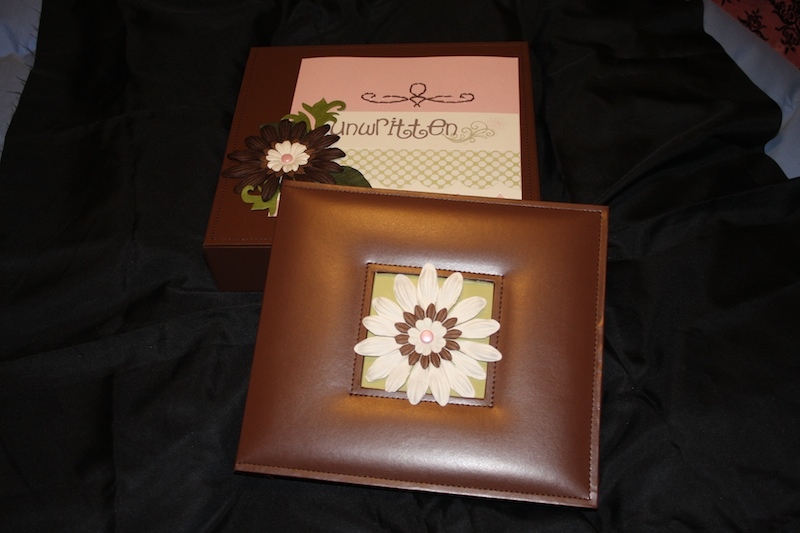 And the last project of the weekend was Marah Johnson's project. I've taken several classes from Marah, I just love her edgy style! So I knew instantly that I would love her project, even before I saw it. How cool is it!?! 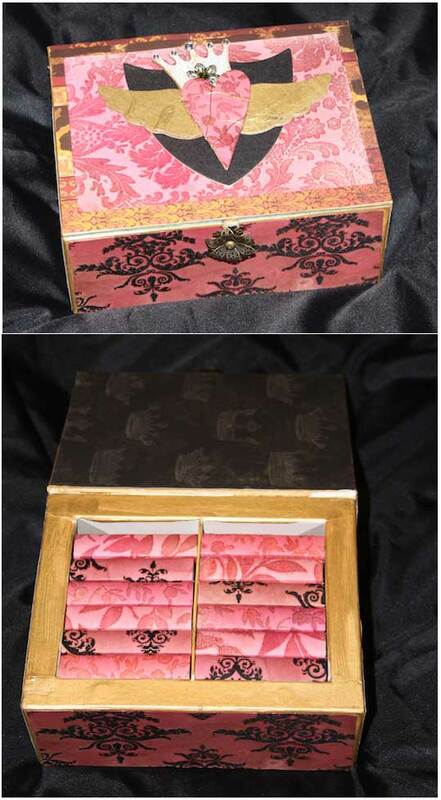 This crafted box, made with Glimmer Mist sprays and flocked paper holds 12 individual minibooks within. A great way to end the weekend of classes. It was best because my last 2 classes were with teachers I've taken many classes from. They would be dear friends if only we lived closer. I admire Debby and Marah very much. It may have been the end of classes, but it was far from the end of the event. We still had our 'formal' dinner, raffle giveaways and charity auction. 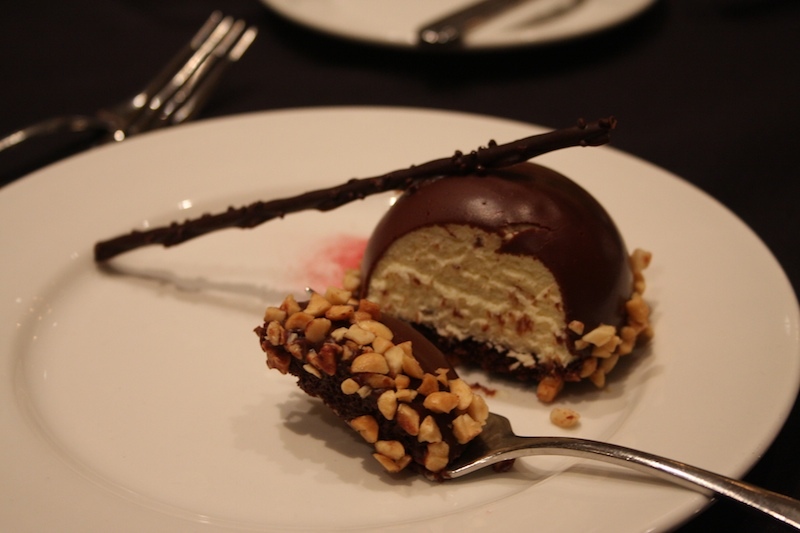 Ever since Heidi Swapp was a little girl, she always wanted to eat dessert first. Since this was her event, she decided that we should all eat dessert first and by God, it was going to be chocolate! So we started dinner w/ this yummy chocolate...not quite sure what it was, but it was delicious! It was really fun eating dessert first! After dinner, they picked the raffle winners. 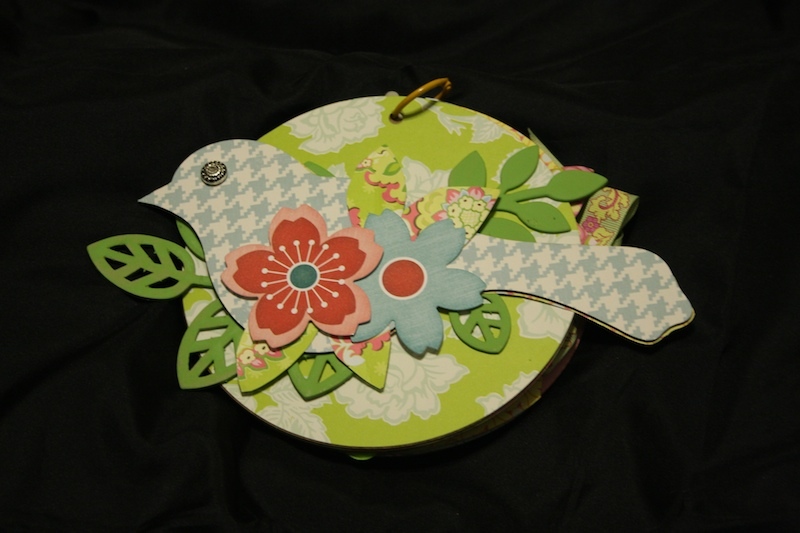 Doris won a Quickuts Silhouette die-cutting machine! I said it was her good karmic payback from getting bit by that nasty spider. 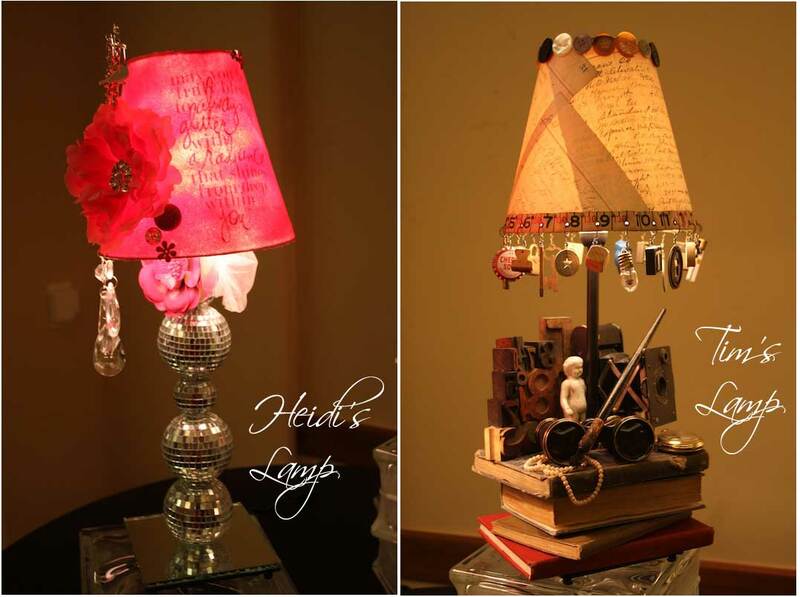 Then the charity auction began where they had open bidding for 2 Ikea lamps that were altered by Heidi Swapp and Tim Holtz. All the proceeds would go to the Leukemia and Lymphoma Research Fund. They started with Heidi's lamp. Opening bid was $100...and ended at $8,200! WOW! Can you believe it? It's going to a great cause, and to be able to donate $8200 for this lamp was amazing! 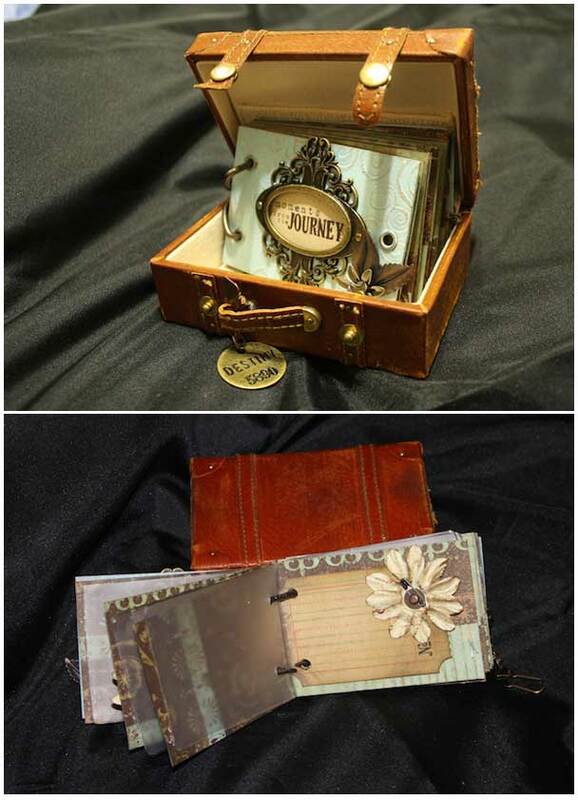 Ok, so there's a bit of a back story for those of you who don't know Tim Holtz. He's a very popular designer and artist in the paper arts industry. I might even dare say that he's the most popular. He's got a lot going for him. He uses unusual items in his art, finds ways to make them available for all of us to buy and use, always comes up with new techniques, is extremely organized and is very charismatic. It doesn't hurt at all that he is a young male in a 99.9% female oriented craft. I encourage you to check out his blog to get a glimpse of his style of creating. Well, last year at this same event, they did another live auction to raise money for charity. During the auction, somehow, someone said that he should auction the SHIRT OFF HIS BACK, which he had designed and hand painted himself. The winning bid for the SHIRT OFF HIS BACK was over $8,000. So, when Heidi's lamp received over $8000, everyone pretty much knew that Tim's lamp would fetch even more. There were whispers that it might even get $10,000. I overheard the women in the table in front of me say that she was going to start the bid at $5,000. So when bidding opened, she did: $5k. With about 3 people, it went back and forth till $10k. The room went crazy, everyone was in shock. Tim was in tears. But 2 women bantered back and forth till $20k. Yes, $20,000. Then outta the blue a new bidder said "$25,000!". That knocked one of the ladies out, but one kept bidding with her: $26k...$27.5k, $28k...finally ending at $29,000! Whoa. There was no way that anyone could have expected that kind of outcome or outpouring of generosity. It was overwhelming not just for Tim, but for everyone watching, to know that his art could get that much, and while 100% of it all goes to the Cancer Research, it's still a bit shocking that it happened in that setting. My head still spins whenever I think about it. Fittingly, the evening ended with keynote speaker, Melanie Wellman. 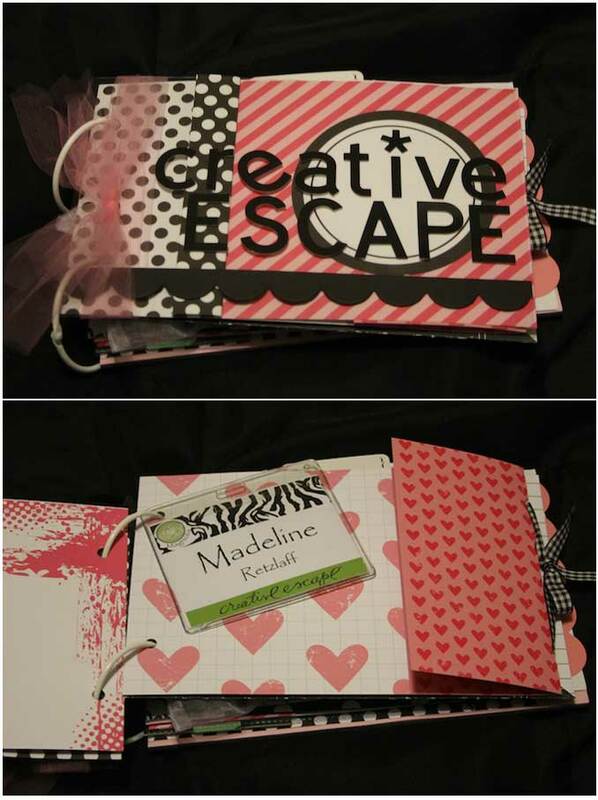 Two years ago, she and her sister, Shelby, were attending Creative Escape as students. They are part of the Bazzill family, which you quickly learn at this event, that they are very supportive and loving and incredibly kind. During the retreat, Shelby was admitted to the hospital and diagnosed with lymphoma. It was a battle she won, and through it all she remained positive and kind, keeping her sense of humor through it all. Melanie spoke about the love she had of her sister and how much she admired her sister for remaining so gracious through the whole ordeal. Melanie spoke about the support we, in general, receive from strangers, from a simple high-five when your running a race, to a caring back-rub from a stranger when you're puking your guts out in an airplane. Simply, about having a charitable heart and extending it to not only those you love, but those you don't even know. She was funny and we held on her every word. We were also moved to tears more than a dozen times. It was the perfect speech after watching the auction bring in so much money for cancer research. WOW, WOW, WOW, what an incredible weekend. I bet your mind was buzzing with creative ideas. I'm with Ragged...my goodness....and that lamp....29K...really? Good cause aside...I'd never turn it on...it would be in a case for viewing only. This is a great review and pics - thanks for sharing! I hope we meet next year. 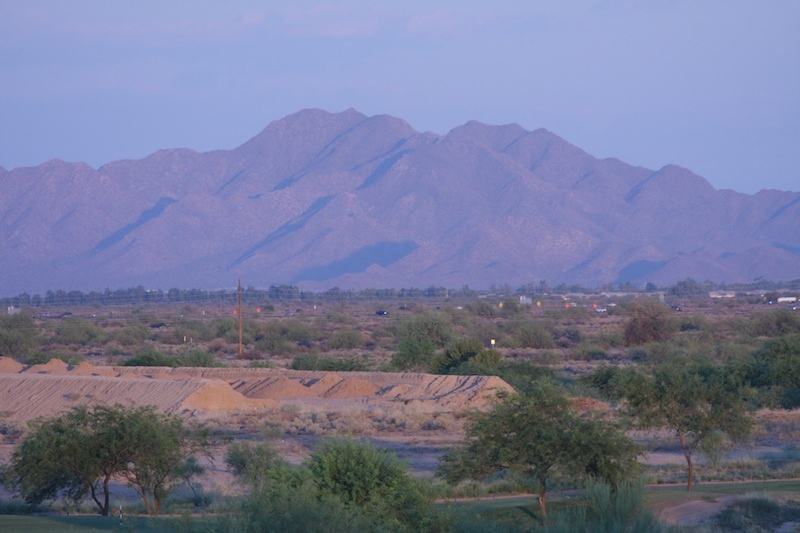 What a wonderful craft weekend you had in Arizona. And thanks for the heads-up, yes, I recognise that pyramid pattern! I think I'll make some more for this year's Christmas prezzies. All your crafts look great, I love them all! I'm truly astonished that the lamp went for 29 thousand, that is absolutely incredible, but what really amazes me is that there were ladies at the craft weekend who can afford to give that much away, admittedly for a good cause, but really.... 29 Thousand???? I just can't imagine being in a position to make that kind of donation. When I have a bit more time I'll come back to your post and click on the links to all the teachers and see what they have created.